I have a terrible problem with cow killers walking around in my yard. We have a pool and between the pets and kids stepping on them, we can’t go a summer without someone getting stung. Is there anything we can do? Cow Killers pack a powerful sting so yikes, that’s got to be a huge issue for the family! Cow killers are a type of wasp and nest in the ground. What makes the cow killer so special is that it lives on other wasps and bees too. 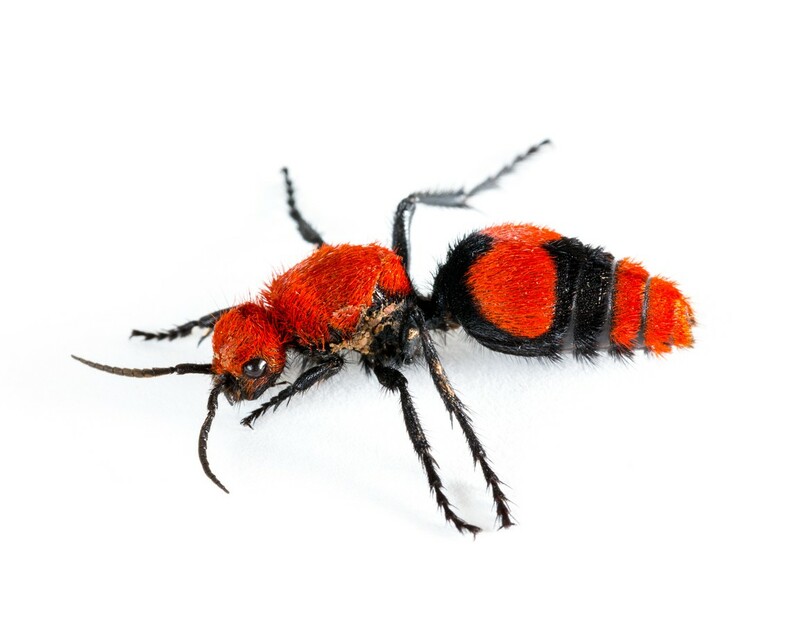 Female cow killers can sting and they use this weapon to kill other ground nesting wasps and bees for food. Basically females will spend the day looking for and ground nest she can find. She’ll then enter the nest, kill the local residents, deposit eggs on the dead host and move on to new locations. Cow killers will readily prey upon DIGGER BEES, DIGGER WASPS or CICADA KILLERS. Now if you see any small holes in the yard the width of a pencil, it could be a cow killers home. To kill what’s inside, dust all holes with DRIONE DUST. This will both kill whats in the nest and since Drione will last 6-12 months, it will also kill any young that hatch in the future. 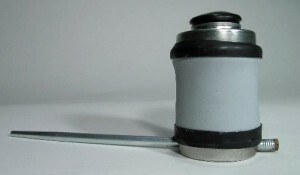 The small Drione will treat 25-50 nests and the 1 lb jar will handle 100+ nests. Use a HAND DUSTER to apply the Drione and do the application close to dark to ensure all occupants are inside the nest when you treat. All it takes is 3 puffs per hole and you’re done. Time wise that’s less than 5 seconds. 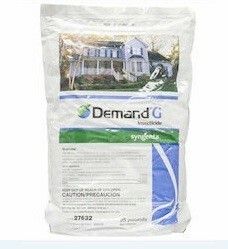 If you don’t have holes in the yard but keep finding cow killers foraging around your property, apply DEMAND GRANULES over the areas where they’re seen. This granule is highly repellent to them and they will avoid where its been laid out. 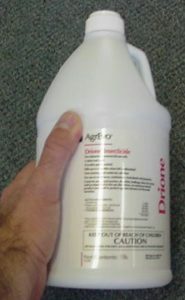 Use 3 lbs per 1,000 sq/ft and renew the application every 60 days when cow killers are active. Be sure to treat a extra heavy along property lines where you suspect they may be entering your yard. When applied at the rates listed above, these products can be safely used where the kids and pets are active and they will keep the cow killers away too.